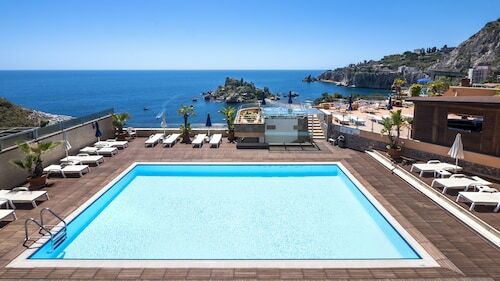 Considered locking in a Taormina holiday package? It's a piece of cake with Expedia, and you'll be able to buy some fancy meals or presents for your friends back home with the money you save. Savings of as much as 15%* are waiting for savvy vacationers who book a package deal on Expedia. Our comprehensive database lists more than 400 partner airlines and 321,000 worldwide properties. With such a great range of options, you can't go wrong! There's no limit to the number of fantastic things you can do when you visit a new destination. So why not get your trip to Taormina off to a flying start by perusing some of our suggestions? After all – out there starts here! You will never really know a city until you experience its top sights, so why not head to Greek Theatre? All you'll need to do is follow your fellow sightseers! Come together with like-minded people and be prepared to get inspired at one of the events or conferences at Palazzo dei Congressi. Travellers in this destination are spoilt for choice. Try to envisage the secrets hidden within Palazzo Corvaja as you stare up at its splendid facade. Still have time to spare? Badia Vecchia guarded its surrounds from attackers for generations. Make tracks to this imposing structure and learn about its place in history. Travel isn't about famous destinations and posh hotels. It's about the experiences you embrace and the unforgettable memories you collect on the way! 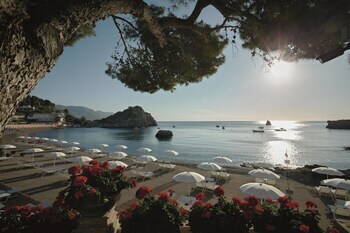 If you'd rather view the full range of activities, go to our Taormina things to do page. With as many as 189 accommodations in Taormina, searching for a place to sleep won't be a drama. But why waste time? Book now via Expedia and kick-start your next luxury getaway or cheap holiday. 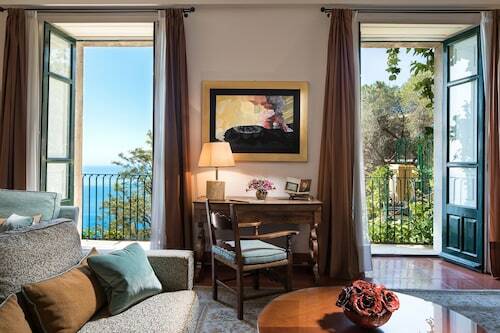 Those who delight in life's finer things will feel right at home at the Belmond Grand Hotel Timeo (Via Teatro Greco 59) and the Belmond Villa Sant'Andrea (Via Nazionale, 137). Rather somewhere cheap and cheerful? Take a look at the Villa Mon Repos (Via Luigi Pirandello 72) and the Maison D'Art Casa Aricò Suites Taormina (Via Silipigni, 11). Fontanarossa Airport (CTA) is the gateway for most travellers heading on a trip to Taormina. It's located 30 miles (48 km) from the centre of town. Make a day of it at this beach where you can laze on a deck chair, swim in clear water and dine at seafood restaurants. On this quick and practical lift system, appreciate the picturesque views as you soar above the beaches and coves of Mazzarò and spot the historic landmarks of Taormina. Visit this ancient theater to admire Roman ruins, watch internationally acclaimed musicians and enjoy stunning views across the Bay of Nexus. A 17th-century fountain and a 13th-century cathedral are among the historic landmarks on this iconic plaza, where you’ll find a lively market in summer. Pass through this gateway, following in the footsteps of visitors to Taormina many centuries ago, to find trendy cafés and bars in the Old Town. This mountaintop vista is a work of art, featuring village rooftops, the Ionian Sea and a Greek amphitheater. Visit the sanctuary on the way to the castle at the top. Lush gardens skirt a cobbled lane facing this triumph of Roman engineering that once carried the town’s water. An ancient wall today hoists modern buildings. Situated in the historical district, this hotel is within a 15-minute walk of Parco Duca di Cesaro, Corso Umberto and Taormina Cable Car. Greek Theatre and Isola Bella are also within 3 miles (5 km). 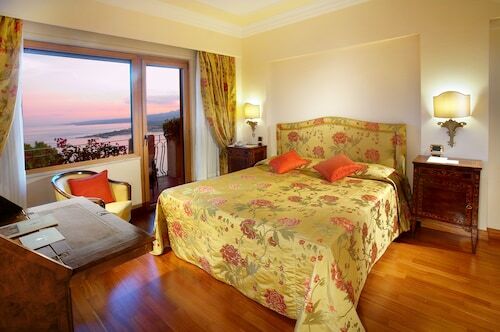 Located in Mazzaro, this hotel is within a 10-minute walk of Lido Mazzaro and Isola Bella. Taormina Cable Car and Corso Umberto are also within 3 miles (5 km). 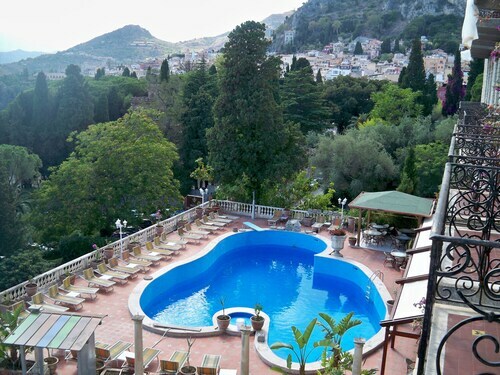 Located in the heart of Taormina, this hotel is within a 10-minute walk of Parco Duca di Cesaro and Corso Umberto. Greek Theatre and Taormina Cable Car are also within 15 minutes. 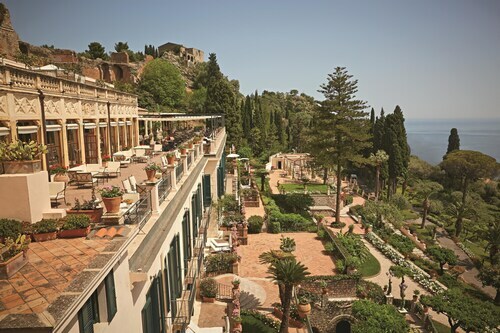 Situated in Taormina, this romantic hotel is within a 10-minute walk of Parco Duca di Cesaro, Corso Umberto, and Greek Theatre. Taormina Cable Car and Isola Bella are also within 3 miles (5 km). 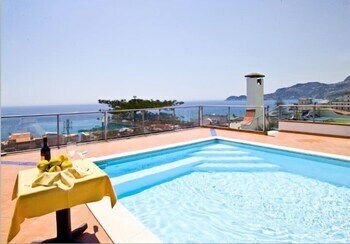 Located in Taormina City Centre, this romantic hotel is steps away from Taormina Roman Odeon and Corso Umberto. Taormina Cable Car and Greek Theatre are also within 5 minutes. 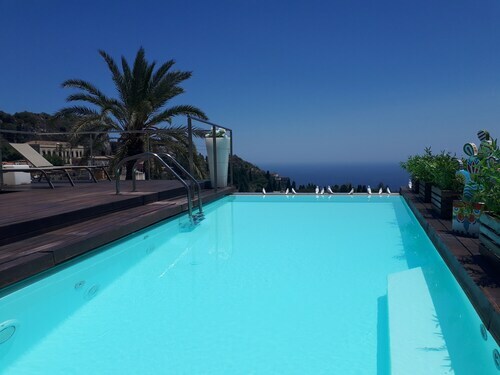 Located in the centre of Taormina, this family-friendly hotel is within a 5-minute walk of Greek Theatre and Corso Umberto. Taormina Cable Car and Isola Bella are also within 3 miles (5 km). 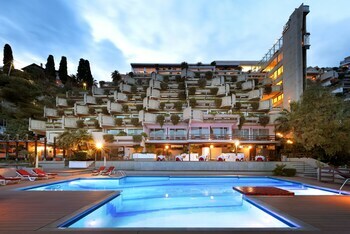 Located in Taormina City Centre, this luxury hotel is steps away from Taormina Roman Odeon and Corso Umberto. Taormina Cable Car and Greek Theatre are also within 10 minutes. 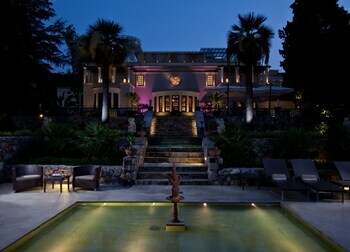 Located in the heart of Taormina, this romantic hotel is steps from Parco Duca di Cesaro and Greek Theatre. Corso Umberto and Taormina Cable Car are also within 15 minutes.